For many years no one knew why some of George W. and Tryphena Newell's children went to Albany, N.Y., and some settled in Franklin and Foxboro, MA. The mystery may have been solved by noting the occupation of the oldest son, Charles Caleb Newell. He was working in the hat factory in Amherst according to the census of 1880 as was his father, George W. Newell. Charles is shown in the Foxboro, MA, 1885-1886 directory as working in the A. F. Bemis Hat Factory and living on Rockhill Street. George moved to Albany and is shown in the Albany directory for 1890-1891 as a musician. George and Tryphena lived in Albany until his death in 1908. Tryphena moved to Mansfield, MA, where she lived with her daughter, Clara Mabel Briggs and her husband, Francis Briggs. (They lived next door to Everett Padelford). Tryphena moved back to Albany where she died in 1919. They have gone to Graceland - Graceland Cemetery in Albany. Charles Caleb Newell met Annie Esty in Foxboro and they were married in 1889. Annie was a milliner originally from Houlton, Maine. Sometime between 1889 and 1893 they moved back to Maine. They were the parents of two sons, Charles William Newell and George Esty Newell. Contact between the Maine and Massachusetts branches of the family was lost during the 1930's. Thanks to a note on the internet in 1999, the family has found each other. George Whitfield and Tryphena Newell's children who moved to Albany, NY, were George Austin Newell, married Myrtle Husted; Henrietta Newell, married Matthew Stephenson; Benjamin Leo Newell, married Stella Haggerty; Bertha Marie Newell, married Christian Heidelmann; Myrtle Tryphena Newell, married Arthur Copeland. The children who moved to Foxboro were Mary Lottie Newell, married Arnold Dixon; Frederick Newell, married Fannie Phipps; Homer Newell, married Mabel Campbell; Clara Mabel Newell, married 1. Clarence Fletcher, 2. 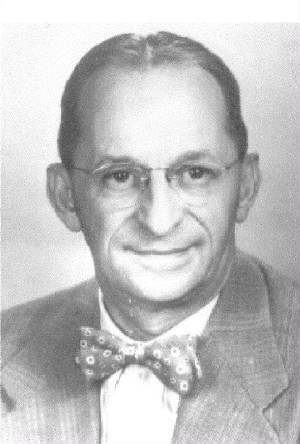 Francis Briggs (lived in Mansfield). Mary Lottie Newell Dixon's daughter, Mabel, married Lyman Cook. Mabel Cook taught first grade at Carpenter School for many years. Grandchildren of Benjamin Leo Newell, have contacted the author through the internet and are now in contact with other members of the family. We have been able to combine our knowledge and have a fuller understanding of our roots. 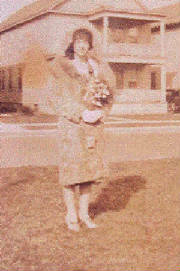 Virginia Jeanette Severance, picture taken on the day she and Charles William Newell were married, June 13, 1917, Bangor, Maine. George Esty Newell was the son of Charles Caleb Newell. He married Annie Esty while they were working in the straw hat factory in Foxboro. They moved to Maine where they raised their family. George moved his family to Louisiana during WWII. The internet brought the family back together.